Welcome to M2M One’s October Newsletter. This month, we invite customers to join us at Comms Connect’s 10th Anniversary at Melbourne to view the latest in wireless communications and we wrap up a week of intelligent transport and infrastructure with ITS 2016. We also talk about our recent price reduction and how this affects new and existing customers. M2M One are excited to once again be exhibiting alongside M2M Connectivity at this years Comms Connect conference and exhibition in Melbourne. Comms Connect has grown and developed to become the number one meeting place for those involved with professional communications across the region. Whether you’re in the resource sector or public safety, transport or utilities, are a reseller or a manufacturer, Comms Connect delivers you with the opportunity to seek out new technologies and solutions, while learning, sharing ideas and making new contacts. M2M One were excited and privileged to be selected as one of 20 Victorian ICT companies to exhibit as part of the VIC Government Pavilion at ITS World Congress 2016 in Melbourne. 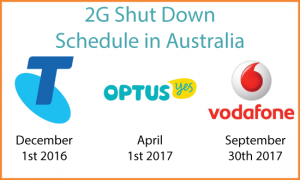 We’re constantly working on ways we can better serve our customers and supply the best possible M2M service in Australia. That’s why we are pleased to announce that we are now able to offer substantially reduced pricing on high data volume Group & CAP plans as well as a base rate reduction on outbound SMS. As well as new pricing we will also be implementing additional high volume data plans with new CAP & Group data allowances of: 3GB, 6GB, 10GB, 12GB, 20GB, 30GB, 40GB, 50Gb & 100GB. M2M One customers with 2G devices have the opportunity to utilise 3G and 4G LTE. All M2M One SIM cards are compatible with the Telstra 2G, 3G and 4G network, so you will not need to physically change any SIM cards from M2M One.